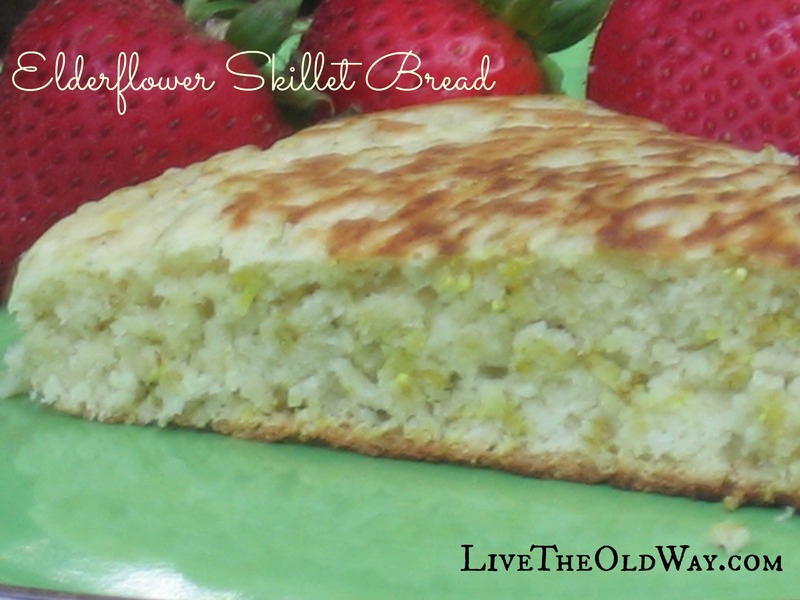 This super easy stovetop bread is an adaptation of what we used to call “Hoe Cake” and incorporates the beautiful and nutritious Elderberry bush flowers that are along creeks and roadside ditches this time of year. 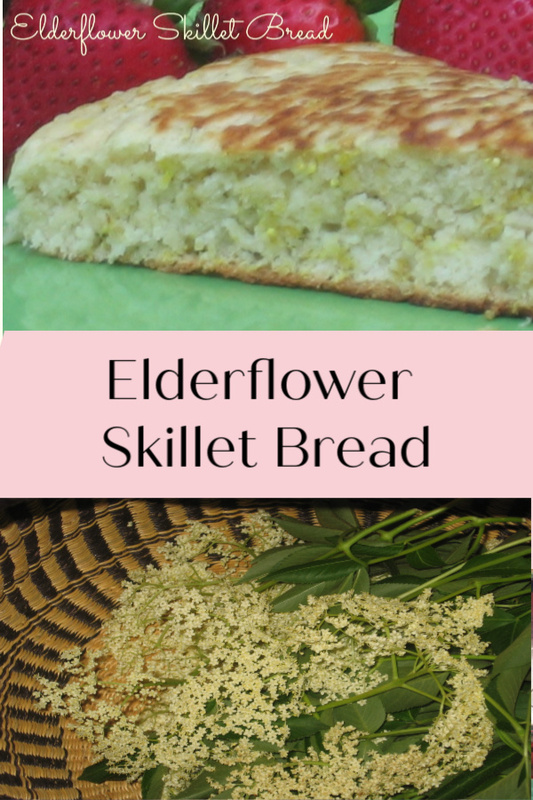 You can substitute any edible flower in this recipe but my favorite is the Elderflower. Serve it while hot with a little butter and honey as your supper table bread, or add a little sugar to the recipe to turn it into a light cake served with refreshments at afternoon gatherings. YUM! Strip the flower blossoms from the stems using your fingernail. 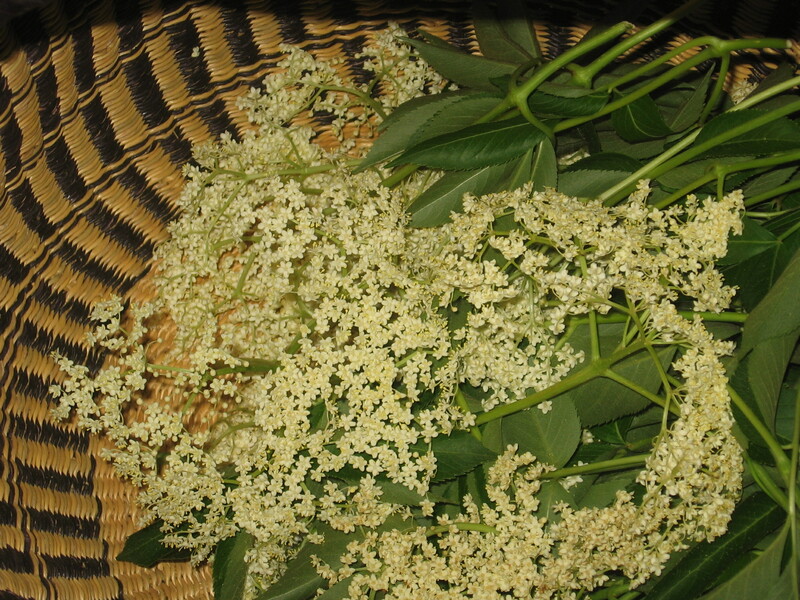 You’ll need 5 or 6 large umbrels (flower clusters) to accumulate 1/3 cup of blossoms. You can use more or less according to your taste or flower availability. Sift flour, baking powder, baking soda and salt into a large bowl. Cut butter into the flour mixture until well blended and forms small lumps. (use your fingers!) 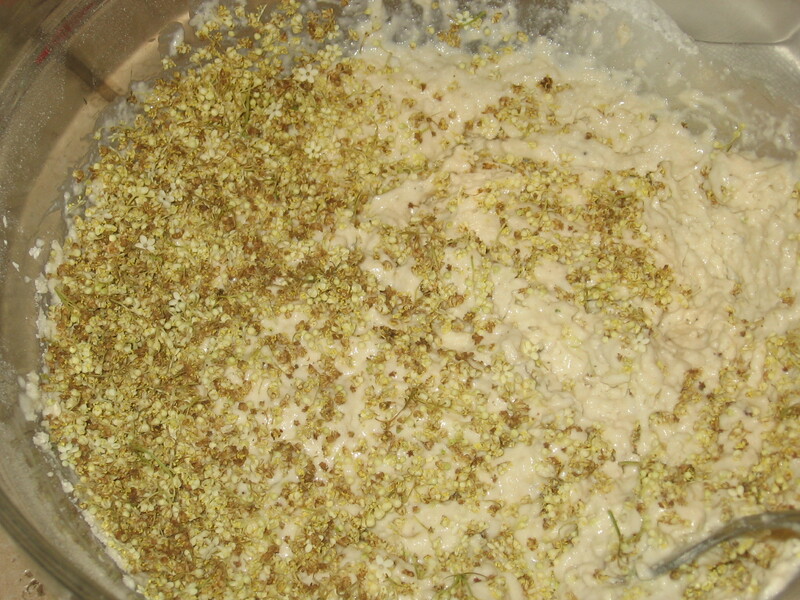 Add milk and mix well, then stir in flowers. 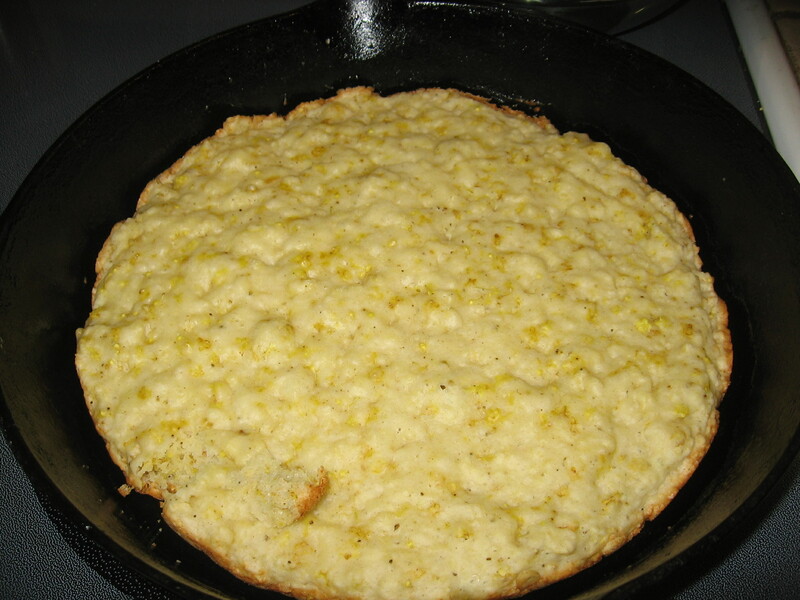 Pour into an 8″ buttered cast iron skillet and cook over medium-low heat for 6-8 minutes. Flip and cook the other side another 6-8 minutes or until browned and a toothpick inserted in the center comes out clean. 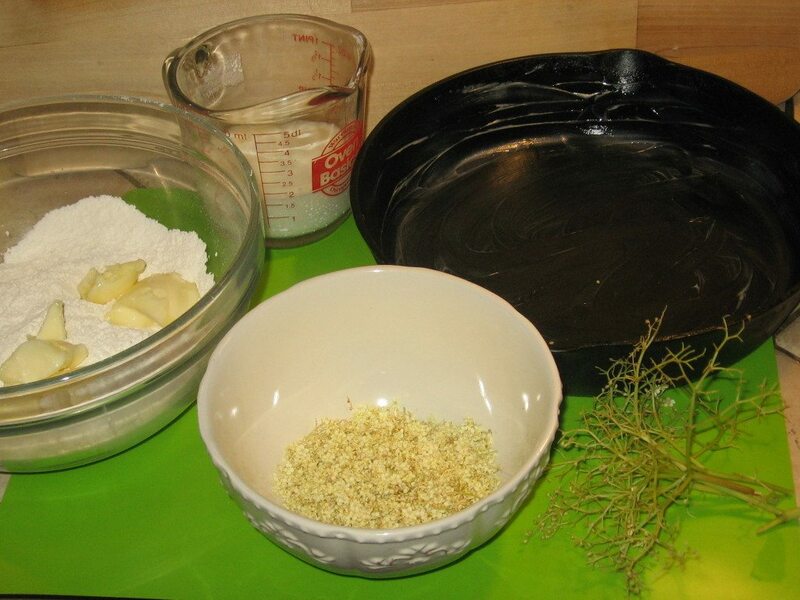 Keep skillet covered with a lid in-between flipping. 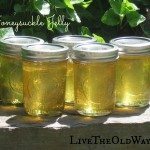 Serve while hot, with butter or honey! Oh my gosh! 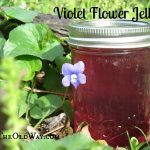 This sounds so good and I have tons of elderberry blossoms right now! 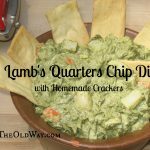 Gonna make this for lunch tomorrow! Love your website and will bookmark it. 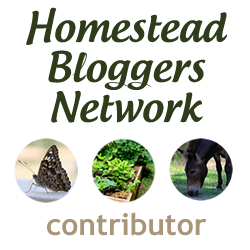 Also I ‘ve got some things to buy on Amazon so will use your links to do my shopping — I like to go in to Amazon from fellow HBN members sites. Looking forward to the newsletter too! Thanks!